We feel like it's time for a new Little Things thread, a place where you can post your suggestions for little quality of life changes. As we mostly work on the UI, UI or other client suggestions would be most relevant. When I'm buying stuff from Jita with Multibuy and need to ship it somewhere else, it would be very useful to know how much space the order takes up so I know if it fits in my 60k m3 hauler. Please keep the suggestion short, to the point and only 1 sentance. Keywords and note are optional, but please not more than one line. Here's a bunch of changes we'll be releasing in June, quite a few from this thread as well as the old thread. Suggestion: Track Camera custom position and re-enable advanced camera controls. Note: Useful in combination for watching wormholes on multiple monitors to make use of directional sound to easily identify target hole. Advanced camera controls are a nice to have for video creators and would be awesome to have back in the game. Then we will get stuck that we can't deliver the item, system keep saying the output location don't have the volume to store the item. Suggestion: Add a "trash contents" button to spaceports and storage facilities in PI. There is currently no way in the PI user interface to discard the inventory of a structure. Occasionally this can get annoying, for example when trying to clean up an error that leaves a crucial routing point clogged with useless product. The work-around is to demolish and re-build the structure, but that usually results in having to set a bunch of routing back up which is tedious. "Suggestion: whatever your suggestion is"
I have edited post to bring them inline with the requested format. This is to allow DEV magic to happen. Note: Docking / Undocking just to update your assets is less than ideal when doing remote inventory management. Note: This has been asked for a lot. Getting a little > arrow is less than ideal. Suggestion: Fix inconsistencies in name positioning and linking in corporate notifications subject. Suggestion: Copying should maintain formatting tags. Note: Copying a line of text loses its formatting tags, unlinking any systems, stations etc. Note: Quite often, when you search for a name, it appears far down the list with partial search even though the name is exactly what you want. The selection menu is a pain, so put an exact match at the top, then sort the rest by if they're in your corp, alliance, then with standings... as these are people you are most likely to want to communicate with. Suggestion: Filter "like this" on modules and ship types that would allow you to right click in inventory and switch it to only show similar modules. Note: Right clicking on 50mn MWD and selecting filter like this, would show all 50mn MWDS. Suggestion: Seperate the MWDs out into 5/50/500/50000 MN sub-category versions. The browse view in the MWD section is infuriating to use as there's too many in it, and meta 1 / tiericieded / meta 2, come in an unexpected order for their size. Suggestion: Slap whoever wrote the forum software to reject posts that include things like angled brackets around things like "user" so your little things posts don't get consigned to the void. Suggestion: Allow ship fitting to have their name entries as modifyable fields in the Ship Fitting list and Simulator fitting window. Allow active updates to preexisting fits (WIP fittings, Modification for module tiericide updates etc) with out having to save a new entry. Also Potentially allowing copying a ship fit by right clicking and adding a "duplicate fitting" option if needed, once the option is selected provide either a "Copy of...." entry in the ship fittings list or pop out a box asking for a new name if desired. Allows for updating the ship name fitting and update the modules as needed. No additional entry to the database needs to be added but rather modifications to the current entity. Allow users to customize the current chat defaults for all spawned chat windows globally to allow all new chats to default to a font size, portrait display and member list layout. 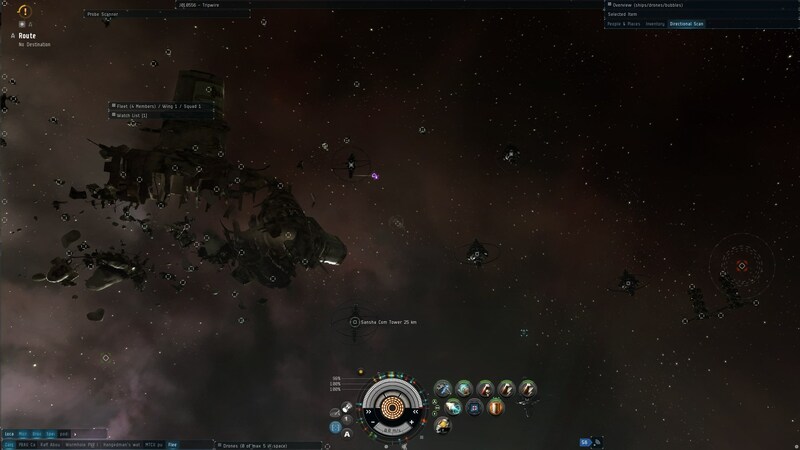 This was a feature that was removed in December 2015 and has been discussed with the UI team member (CCP TurtlePower is aware of this request) . This feature is useful for quickly asessing what is happening in the game behind all the windows open by providing a quick peek behind the UI and allowing it to be restored without having to double click multiple titlebars to restore them to their former size. Current implemented feature to pull all windows to the neocom and back out (which maximizes everything) is not exactly the similar feature. This is useful in a varity of situations including managing the UI while working planetary interaction, viewing the grid when moving, in combat, etc. Note: inventory can be sorted by quantity, type, name, but not value, which is rather important. Use: Deciding what to loot when my cargo is limited. Deciding what to reprocess. Deciding what is worth the time to set up a sell order for, rather than bulk sell. Right now you have to examine every item before you can make these decisions. Note: Transactions tab items should process mouse clicks just like Orders tab, inspire new market activity. I would like to include a fitting (as an item) in a contract that has the ship and all the fittings so that the person buying the ship can assemble the ship, make it active, and then hit "fit ship", and they have the ship put together as contracted. Note: Allow single-click renewing of an expired contract with the exact same settings as before, without needing to delete it, re-select everything, and re-post. Note: Refresh map with a click rather than closing it and opening it. Put a button in the corner of the starmap or something that refreshes the starmap and any stats or assets on it. Note: assets tab and starmap interact with eachother. When i have the assets window open and am looking at my assets in the star map, highlight the system on the map when i open it or mouse over it in the assets window. Suggestion: Add distance column for players added to the Watchlist. Note: Client already has the info ni the overview, please display it in the watchlist. Post describing the idea here, with some support. Suggestion: Remember which tab i was on the last time I selected "Show Info" on a character. Suggestion: Allow some way, any way, to delete expired Auctions from your "In Progress" Contracts search results. When I'm the winning bidder of an auction contract, it remains as a search result in the "In Progress" search even after I've completed the action and received my goods. In big red letters it says "EXPIRED!" under the time left column, and yet there is no action that I can take on the contract to remove it from the list. I don't want to see these expired contracts any more... ever... please make them go away.